Jewelry is often considered to be a female decoration and when rings are discussed, often thoughts are drawn to diamond rings of a more female design. These images are most often associated with wedding rings, princess dreams and wedding buzz. 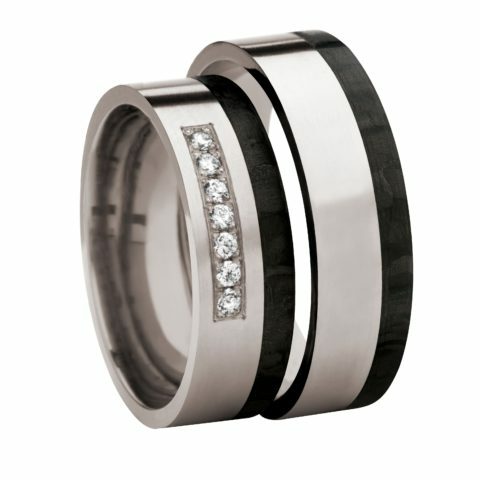 Men’s jewelry is often shadowed by feminine accessories, albeit the ring has a very masculine history. 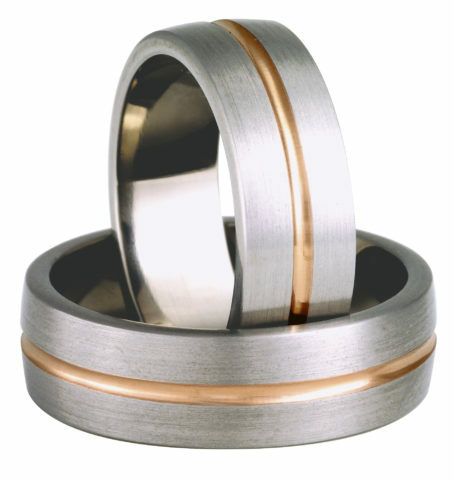 In history, specifically the men’s rings have had a great significance and not only as wedding rings. During the classical antiquity the Egyptian gentlemen used golden rings engraved with hieroglyphs as signatures. Later the custom was spread throughout the civilized world. Without a signet ring a man was nothing, for the signet and the seal was the only legally binding signature for thousands of years. In Rome gemstones were set in the signet rings and the seal was carved in the stone. Thus began the custom of setting precious stones in rings. Only the senate and later the emperor had the right to bestow rings to the citizens of Rome as a commendation. 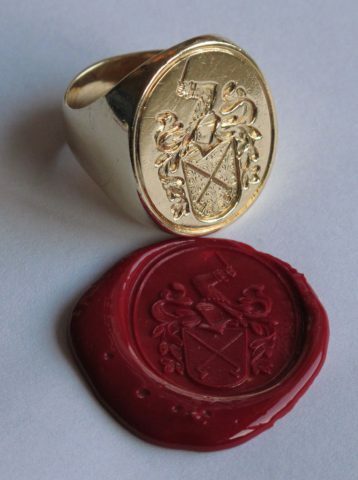 A signet ring to seal your deals was the Patrician way of distinguishing oneself from the common people. Only men were bestowed golden rings, and even then only senators, diplomats, legionary tribunes and priests were allowed to use golden signets. Silver and iron was reserved for the majority of Roman citizenry. Even if the ladies of Rome used a large variety of jewelry, the use of rings was reserved for men and married women. The rule was that a man may use only a single ring as adornment and a sign of citizenship, no other jewelry. The women got their rings from their husbands as a “sign of ownership”. This is also the origin of the custom of the wedding ring. The customs of Ancient Rome were carried on to the Vatican. The Pope and his cardinals have their own rings as signs of power. The papal ring, the Ring of the Fisherman is one of the most influential signet ring in the world. The first mention of the papal signet ring is from the year 1265 and it was used to seal all papal decrees until the year 1846. Nowadays it has mostly ceremonial significance and the Ring of the Fisherman is crafted anew for each pope, for it is destroyed publicly when the pope dies. During the Medieval times the use of rings had spread to decorative use also with men but they were still mostly trappings of the patriarchal power. In addition to sealing letters they had more sinister uses as well. A poison ring was invented with poison concealed under the sigil stone, from where it was easy to administer to the hapless victims wine goblet. Rings were serious business back then. For theft or counterfeiting a signet ring was punishable by death. In some communities even losing a signet ring was a heavily punishable crime. The puzzle ring which is very popular amongst Finnish UN-peacekeepers were originally a renaissance invention to, if the story is to be believed, keep the spouse faithful. If the ring was in pieces when you returned from your voyage, you knew your spouse had not been playing nice. There’s no historical evidence of the origins though. It might also be just a clever marketing trick. Rings were used to show your allegiance to secret orders, alchemists hid secret meanings in them, they were believed to hold occult power and they were used as talismans against maladies. During World War 2, a man with a death’s head ring was truly frightening even in civilian clothes. In history, men’s rings were loaded with meaning. Men’s rings still carry meaning and hold great significance to the bearer. Freemasons still carry masonic signet rings and the bishops have their rings as sign of stature, but there are newer significances as well. In North America engineers swear the oath of the engineer and carry an engineer ring fashioned out of iron or steel as a show of commitment in their pinky at all times. The football and baseball championship teams get a handsome signet ring to commemorate their victory. In Sweden and Denmark academic doctors wear a golden ring of laurel leaf on their left index finger. This originally patriarchal custom nowadays applies to both sexes. During modern times men use rings more and more as decoration. Especially fashion savvy young men get themselves rings to fit their style. 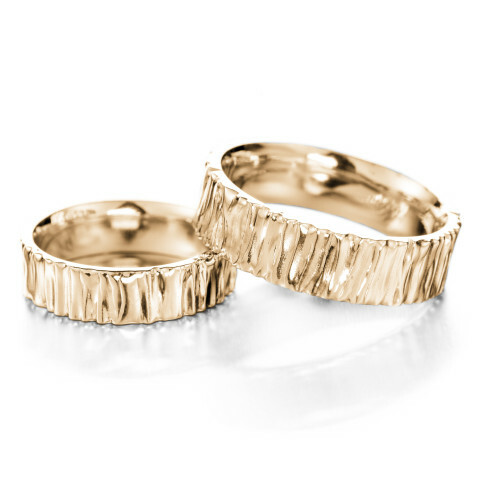 The use of signet rings has been in decline, at least in Finland for the past few decades and now the emphasis is on the material and texture of the ring. 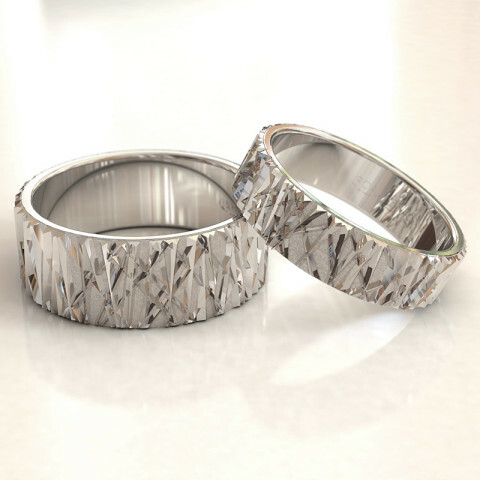 Different finishes, mattes and surfaces are as integral features in men’s rings as jewels in women’s rings. Men’s rings also have jewels set in them, but in most cases it’s a matter of aesthetics more than value. Black diamonds exude Rock’n’roll attitude and affordable heat treated jewels bring flair and panache to otherwise plain rings. Especially new surfaces made possible by 3D-design it’s possible to set the stone in the shank in a particularly manly fashion. 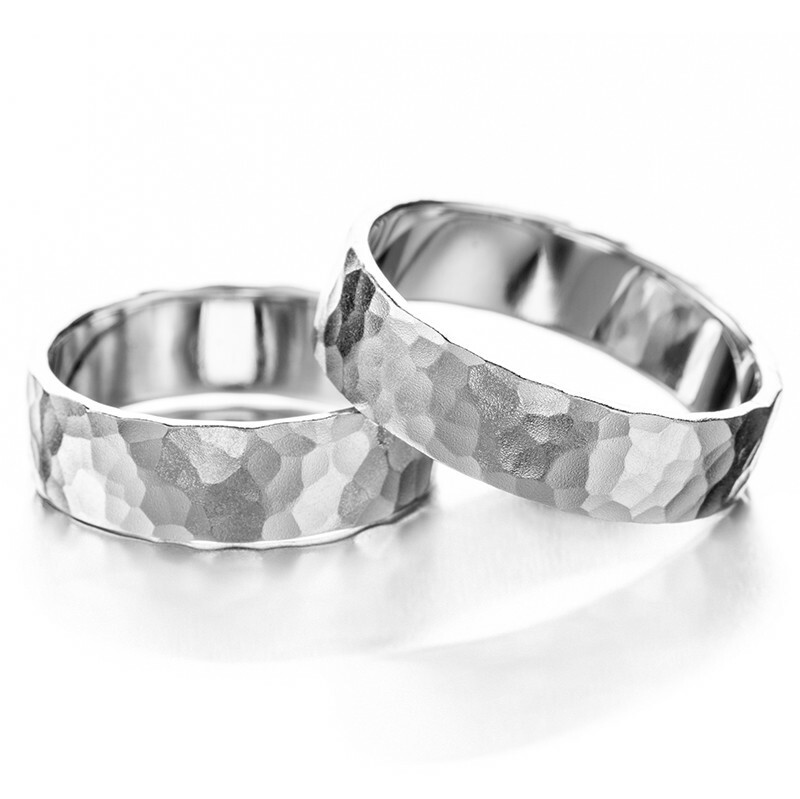 Men’s rings are wider than their feminine counterparts and have a larger surface area to show. A polished surface might be suitable for a thin ladies ring but a man wants his ring rough. A computer modeled and CNC-lathe manufactured ring may resemble tree bark or a rock surface. This kind of surfacing is asked more and more in men’s rings. Our clients often approach us with only an idea for a surface and our 3D-smiths start working towards a uniquely surfaced ring. Even if technology finds places in the trade, old hand crafted surfacing methods still keep up in the competition in the dude ring trade. 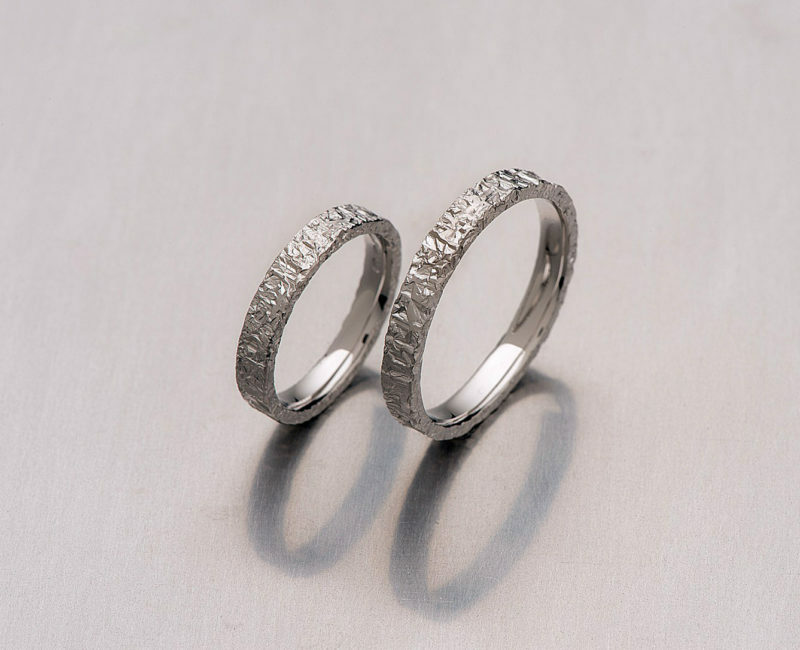 Gold and white gold are still the most popular choices of materials but an emerging trend is to have the ring made out of a more manly material, such as platinum, titanium or carbon fiber. Platinum is such a heavy metal that you’ll definitely feel the weight of a platinum ring in your finger and in theory could be used as a knuckle duster. During WW2 it was used to make bomb detonators due to its extreme conductivity. There’s a thought to hold for the owner of a platinum dude ring. Titanium on the other hand is very light and durable. It withstands such extreme temperatures that it would fit even Superman. Carbon fiber rings and the thousand layers of carbon structure lead your thoughts to high octane racing and stealth technology. Hits the spot like the ring of the Phantom on the bad guys chin. Rings are the most important jewelry of a man. Whether you are the Ghost Who Walks, the Dark Lord of Mordor or just a regular bloke off the Hackney Walk, rings are the choice of jewelry for you.